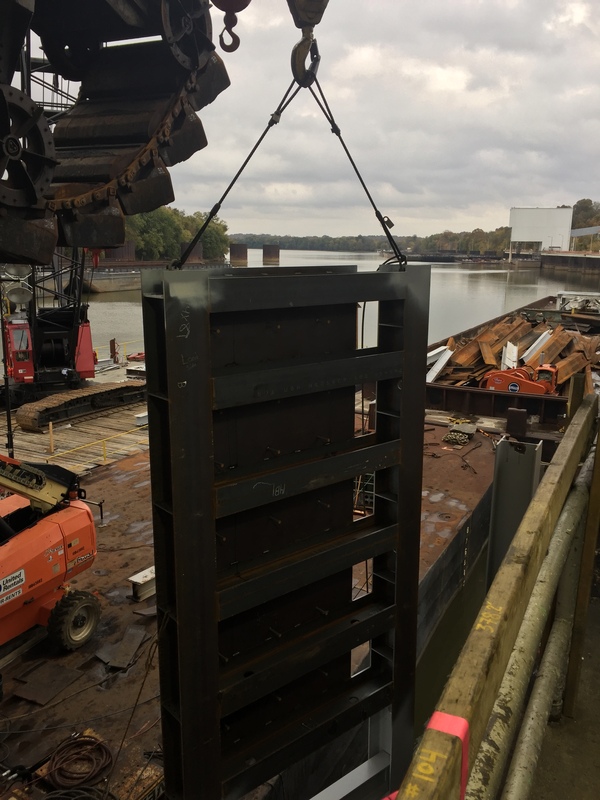 This project, currently in progress on the Cumberland River at TVA’s Cumberland Fossil Plant in Cumberland, Tennessee, consists of rebuilding the mooring face of the barge unloader mooring cell while the barge unloader remains in place. The new mooring face will provide increased protection against barge impacts. Support of the existing unloader structure within the unloader cells will be achieved by permeation grouting along the dock face. 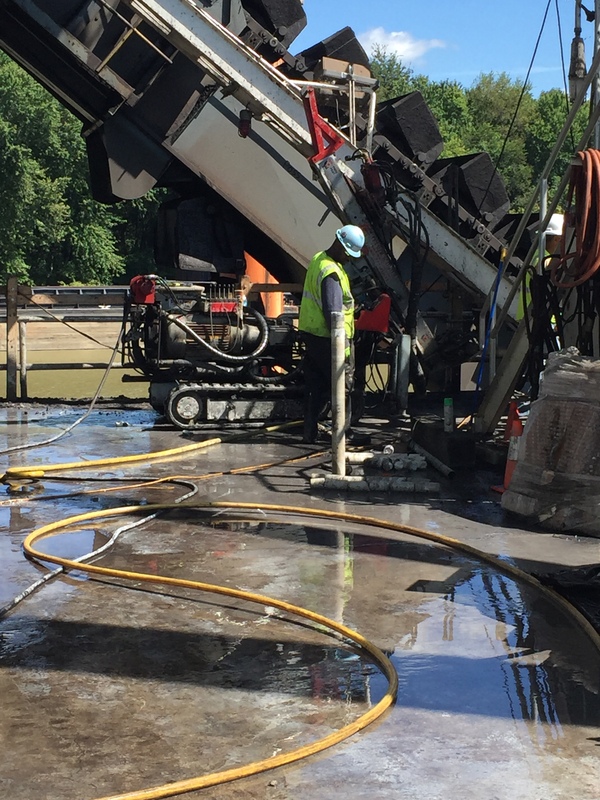 The drilling and grouting will be performed from atop the unloader’s concrete cap. 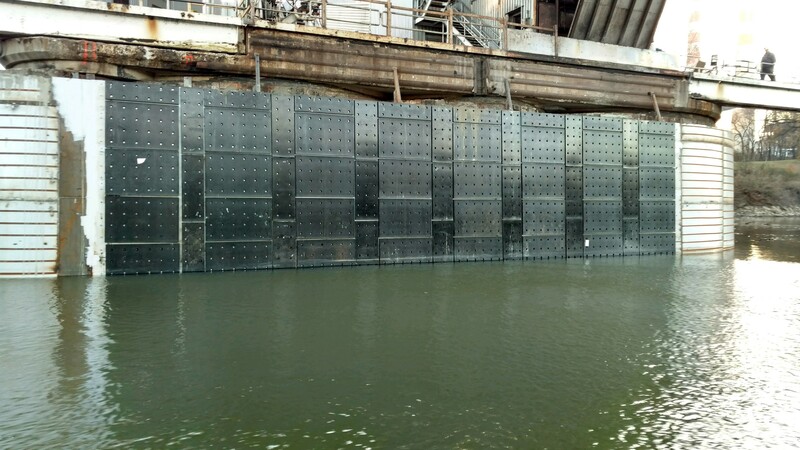 The existing unloader protection wall, made of flat and z-shaped sheet pile, will be demolished to allow installation of the new mooring face. The new mooring face consists of driven H-Pile and a steel plate-enclosed beam structure which will be filled with concrete. 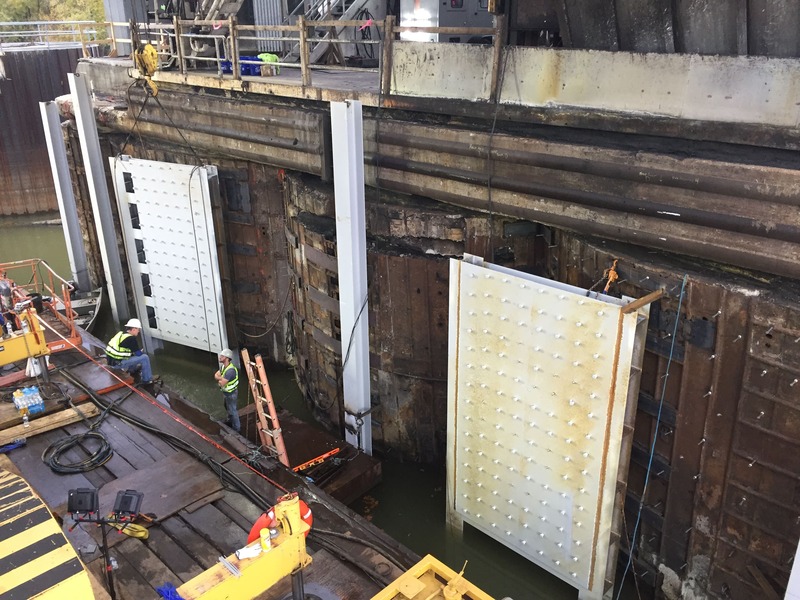 The mooring face and support structure will provide a secure system to distribute barge impacts into the original mooring cells. The new fendering system will provide energy dissipation for barge impacts.